Item # 289121 Stash Points: 3,998 (?) This is the number of points you get in The Zumiez Stash for purchasing this item. Stash points are redeemable for exclusive rewards only available to Zumiez Stash members. To redeem your points check out the rewards catalog on thestash.zumiez.com. 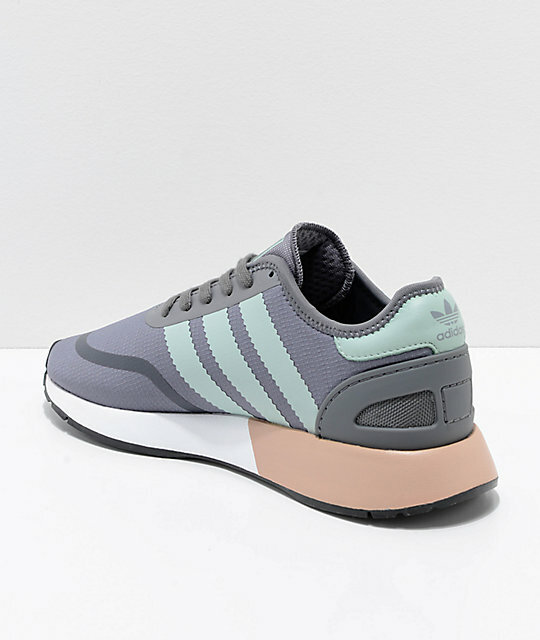 Paying homage to adidas' rich golden age of '70s-era runners, the premium footwear brand introduces their new line of N-5923 CLS shoes, this model dressed up in a ash pink and white colorway. 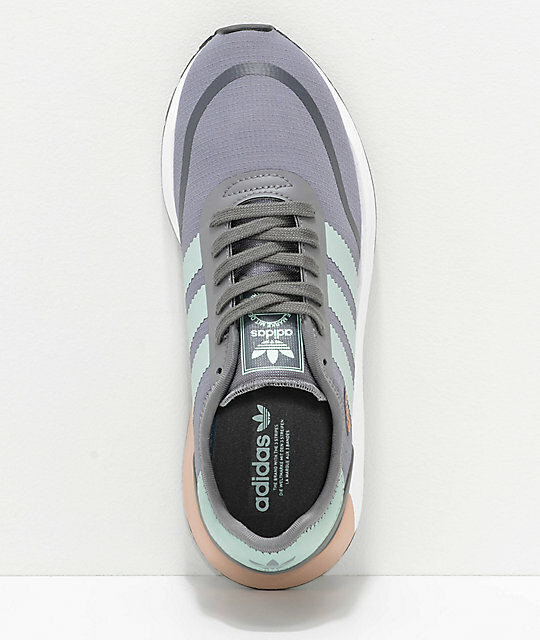 The N-5923 mimics the overall design of the I-5923 silhouette, better known as adidas' signature Iniki Runner. Refining the overall look and feel, this edition has a lightweight ripstop upper, the added benefit of a TPU heel stabilizer and a EVA midsole for impact support. A runner shoe through and through, the N-5923 is athletic in personality with the added benefit of contemporary flair for streetwear appeal. 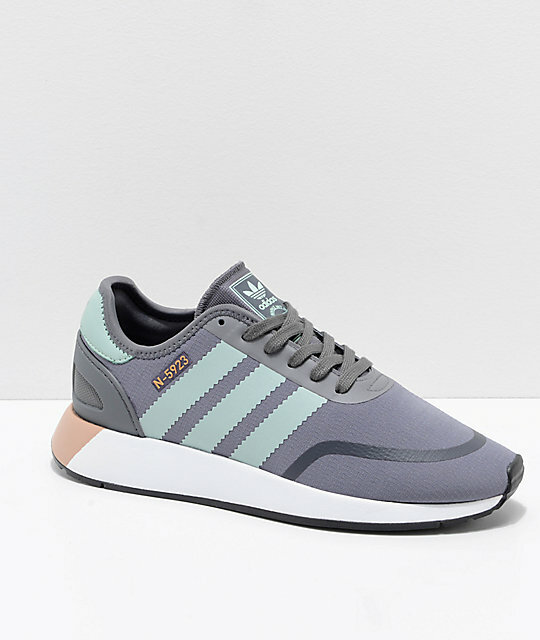 N-5923 CLS Grey Flour and White Shoes from adidas. Durable lightweight ripstop textile upper with leather logo detail on back of heel. Lace up closure with synthetic rubber overlay for durability. 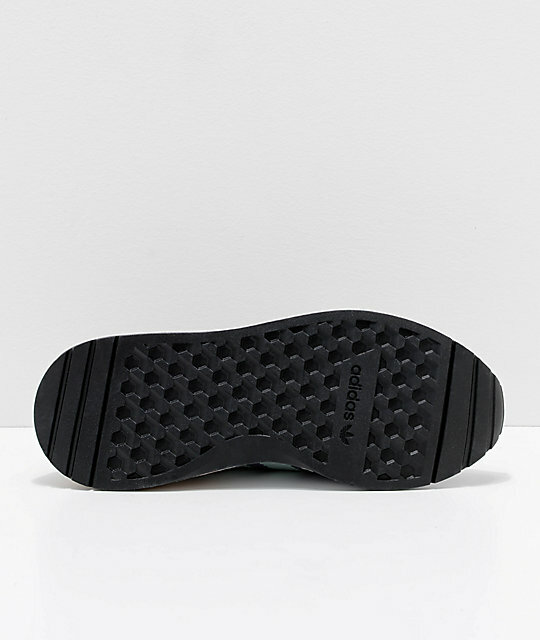 Durable rubber outsole with multiple hexagon and vertical thread for grip.